I recently came across an excellent story from National Geographic. It is an article covering a new study that was just released by Panthera’s Puma Program. 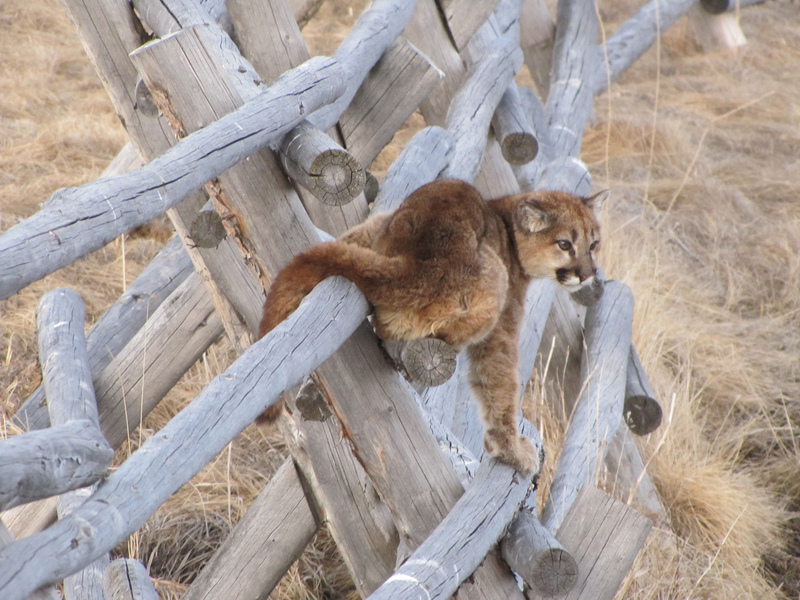 The study involved close monitoring of mountain lion (AKA Puma concolor, pumas, cougars, etc.) in Wyoming. Panthera’s scientists used remote, motion-sensitive video cameras and GPS collars to track the cats’ movements and observe what goes on in their dens. They learned, among other things, that mountain lion kittens are vulnerable to human hunting; up to 70 kittens each year are orphaned in the state of Wyoming due to sport hunting. It is highly unlikely that orphaned kittens will survive. To be sure, hunters do not intentionally target mountain lion mothers. In most places where it is legal to hunt the cats, which is basically throughout the entire Western U.S. (except for California), killing female mountain lions with kittens is prohibited. However, it is not always easy for hunters to tell whether or not a mountain lion has kittens. The hunting season in Wyoming also begins on October 1, which overlaps with the time when most mountain lion dens are active. To solve this problem, Panthera’s scientists offered a simple solution: delay the start of the mountain lion hunting season to December 1. By this time, nearly all mountain lion kittens will have left their dens and will be moving around with their mothers. The winter snowfall will also make it easier for hunters to spot tracks in the snow, alerting them to the presence of kittens. This would be a straightforward way to reduce the amount of mountain lion kittens that are orphaned each year. To learn more, and to watch some extraordinary videos of mountain lions, be sure to visit the original article. You can also follow this link to access the Puma Program’s new study. Hopefully, the solution will be put into action. Sometimes it’s so easy to fix things but entrenched thinking doesn’t allow the fix. With all these interesting innovations out, I’m happy to know that these are getting implemented. Great share. Well, they haven’t been implemented yet – only suggested. It’d be a great recommendation to put into place though. Spawning season for fishing never overlaps the regulated catch dates,so why did the authorities neglect the Big Cats? Seems too be a rather odd oversite,but they seem to have there odd reasoning. 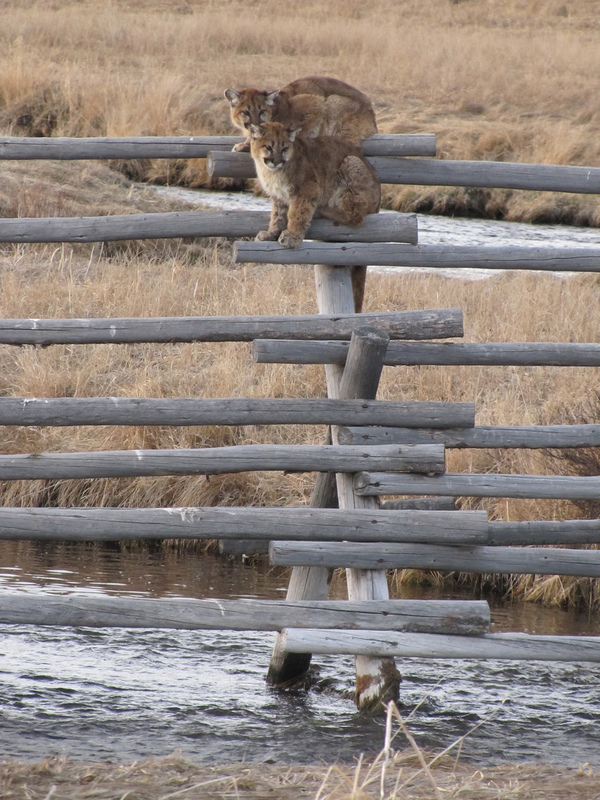 Well, fishing and mountain lion hunting have very different histories. For most of the U.S.’s existence, predators like mountain lions have been considered vermin that need to be exterminated at all costs. Controlled, regulated hunting for mountain lions is a relatively recent development. So there’s a chance that such niceties as timing hunting seasons to not coincide with the time of year when most kittens were still in their dens weren’t highly considered. Of course, it’s also entirely possible that the whole problem is just that no one bothered to find out when the primary “kitten season” is for mountain lions in Wyoming. Starting the hunting season at a bad time for kittens could’ve been a complete accident. Now that we know more about when the best timing is for the hunting season, hopefully the authorities will make the necessary changes. Such a simple solution. Sounds reasonable to me. I agree! We’ll have to see what the policy makers think. I hope they take it seriously and implement it so that the little kitties could stand a better chance of survival & not become orphaned, cause that’s a next to impossible life for those little kitties to survive in. I hope so too! Life is already incredibly hard for mountain lion cubs; there’s no need for us to make it any harder.